LOCATED ON DOOR COUNTY’S MAJESTIC SHORELINE IN THE HEART OF EPHRAIM, Pine Grove's waterfront resort and private shoreline area featuring a small beach area with a 40 foot pier and screened-in gazebo offer the best sunset viewing in Door County. As you watch the sailboats glide across the sapphire blue waters, the refreshing breeze will whisper into your room. Watch the breathtaking sunsets, feel the tranquility and serenity of the evening. Pamper yourself and seek repose, escape from the harried world you left behind. Make a reservation today!! 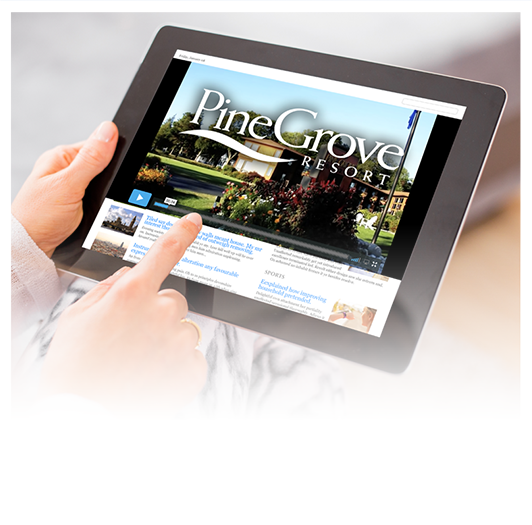 View the Door County Navigator review of Pine Grove Resort.